Right after posting my last post, Tom and I were packing up to leave the Old Town Café, in Lander WY, when we ran into a couple we had met in Devils Tower: Meera and Kurtis. We grabbed a bite and some brews with them, and agreed to meet the next day to climb together at Wild Iris. After that day, both Tom and I were too sore to imagine another day climbing; pocket climbing at Wild Iris left me with cuts on my hands and cuticles, and almost no skin on my fingertips. 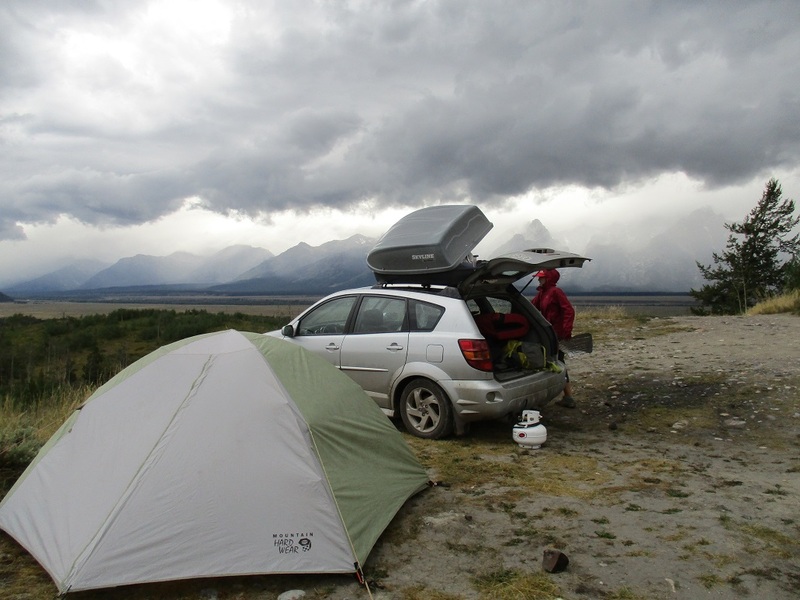 We packed up our campsite and made our way to the Grand Tetons. That day was rainy, and it seemed as if out of nowhere we could see high peaks looming among the clouds. 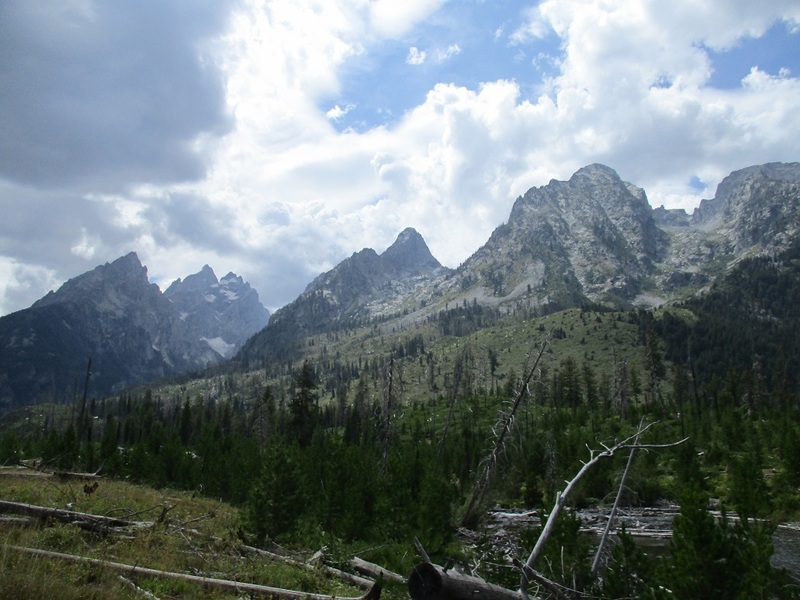 The view of the sharp, majestic Teton peaks followed us along the highway, getting more and more incredible. 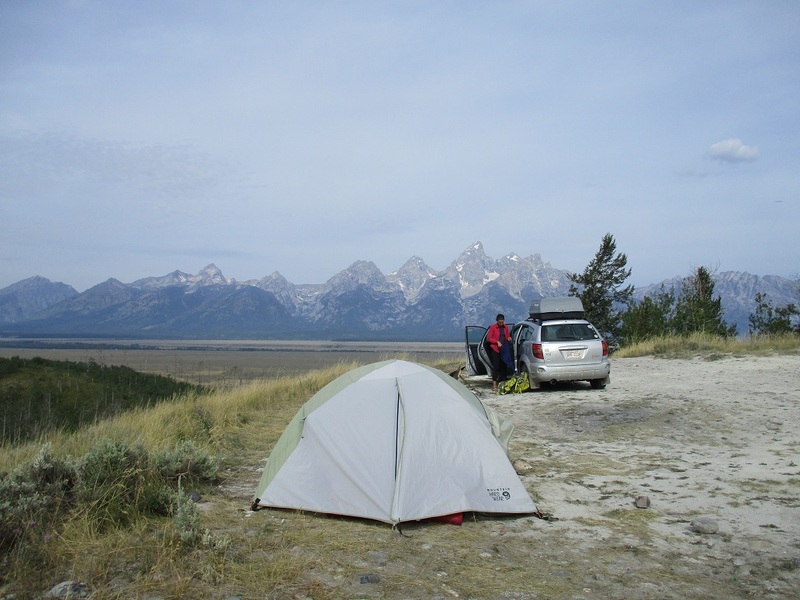 The view followed us to the free campsite we found, where we had a full frontal view of Les Trois Tetons (“the three breasts”: Grand, Middle, and South). The first night we were there, the Grand was hidden by clouds, and it wasn’t until the following evening that we were able to see the tip of the Grand in all its glory. 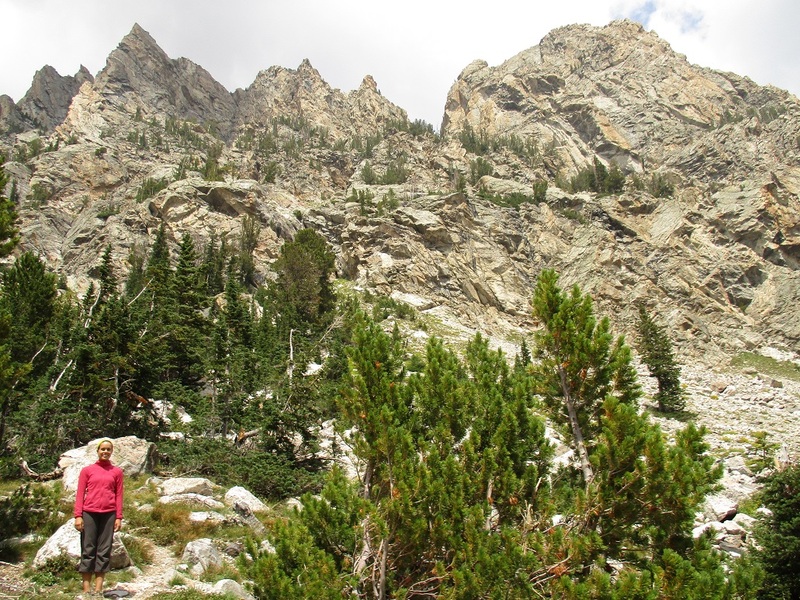 During our two-day stay, we hiked the approach trail up to the base of the Grand Teton, where climbers go to camp out before summiting the Grand the following day. Tom and I considered doing some climbing, but the weather forecast was poor, and we don’t have the right equipment for backpacking. 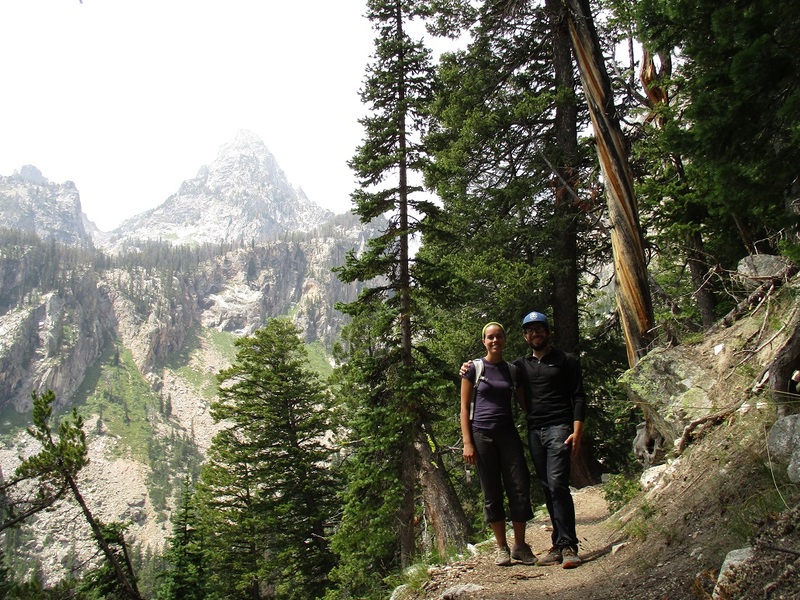 We also hiked around Jenny Lake, and up to a view called Inspiration Point. We explored Jackson, and enjoyed beers and nachos during happy hour at Snake River Brewery (“put our river through your liver”, as their motto says). Two little highlights for me were seeing a herd of bison on the way to our campsite, and a black bear during one of our hikes. 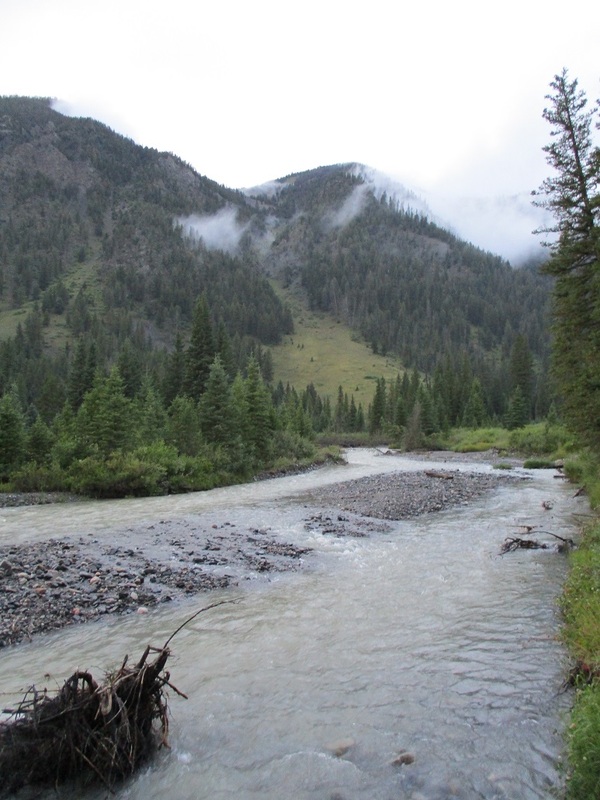 The Tetons were touristy, but not nearly as much as our next stop, Yellowstone National Park. 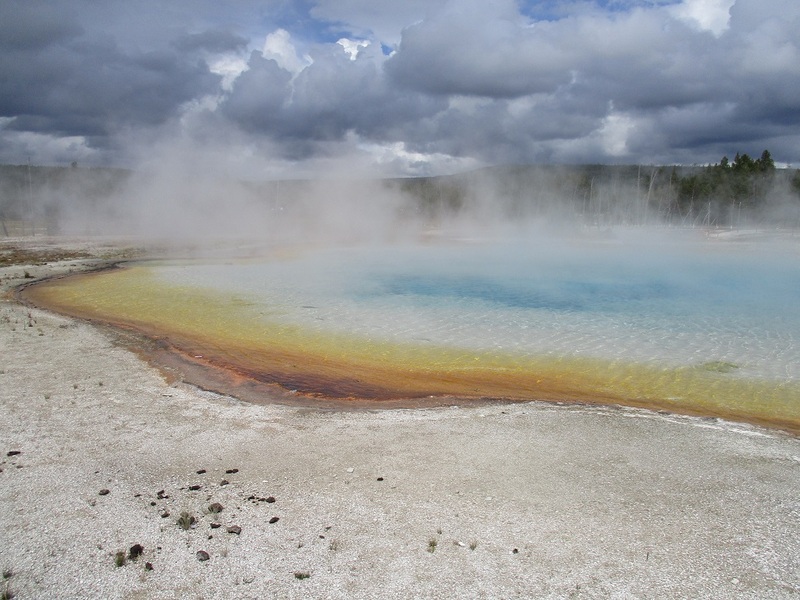 We drove through the south entrance and to the west entrance in a day, stopping to see the geysers and mud pots along the way, reminiscent of the active volcano Yellowstone once was. 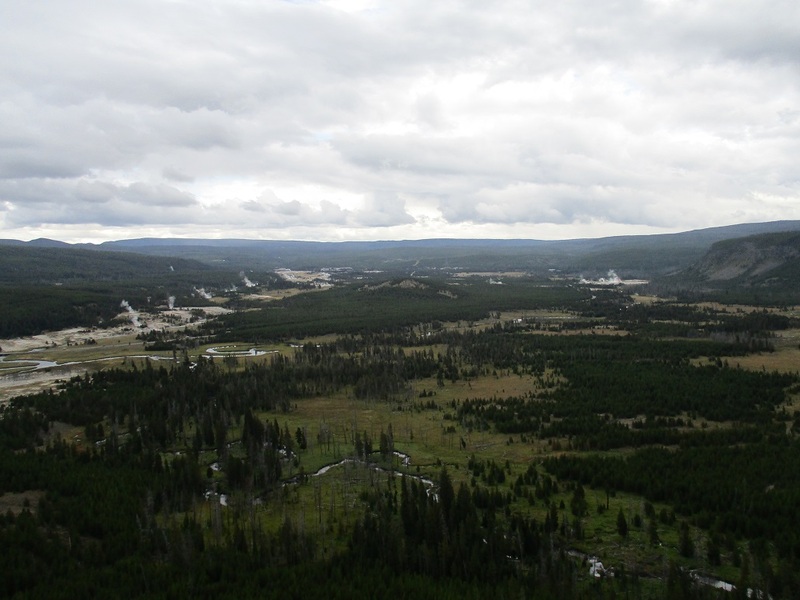 We saw Old Faithful geyser, which spurted up a stream of 4000-8000 gallons of water into the air, right on its natural 90-minute schedule, in front of the hundreds of tourist spectators, including us. We were both exhausted by the amount of people, and escaped to solitude at a dispersed camping area we found 15 miles outside the tourist trap that is West Yellowstone. Going west into Yellowstone National Park brought us into Montana, leading us closer to our next stop: Glacier National Park. As we work our way north, Tom and I are facing the reality that our three-month road trip is coming to an end. One more week and we are back home. It is so wonderful to follow you along on some of your adventures! 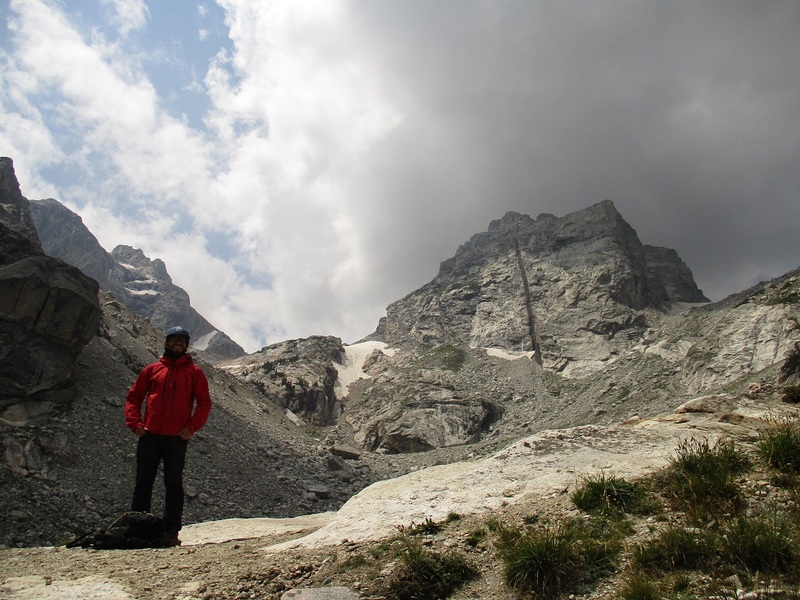 Wow Sarah, what an amazing experience, I am enjoying your pictures and blogs immensely, so fantastic…safe travels home! !